Knoxville TN & Area Criminal Defense Attorneys | Knox Personal Injury Lawyers | William C. Talman P.C. 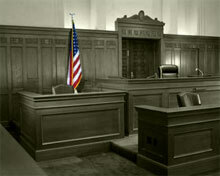 HAVE YOU BEEN CHARGED WITH A CRIME OR ACCUSED OF CRIMINAL CONDUCT? Be particular about the law firm you select to pursue your legal rights. We are dedicated to seeking justice by representing our clients with relentless determination, no matter how complex the case or how high the stakes. If you have been injured by another person in an automobile accident - whether intentional or by carelessness - or have been injured by products that are defective in some way, you may be entitled to recover damages. If you have been accused of a crime, or charged with a crime, then you face the possibility of going to jail, paying fines, and having a permanent criminal record. Criminal charges or allegations could affect your current and future employment, possibly affect your right to vote, hold public office or to even own and possess firearms. You should never take criminal charges lightly or assume they are insignificant or unimportant. They can and often do affect your life and future for many years. Do you know your legal and constitutional rights? IT IS ALWAYS IMPORTANT TO KNOW YOUR RIGHTS. YOUR RIGHTS ARE TOO IMPORTANT TO WAIVE OR GIVE UP SIMPLY IN ORDER TO GET SOMETHING OVER WITH OR TO AVOID THE EXPENSE OR INCONVENIENCE OF HIRING OR CONSULTING WITH A LAWYER. In both Personal Injury and Criminal cases, a seasoned trial attorney experienced in criminal defense and personal injury litigation can work to provide you with invaluable legal advice and representation. William C. Talman has practiced law since 1986 and has extensive criminal jury trial experience. He has served as Lead Attorney overseeing the defense team in several high profile capital or death penalty cases. 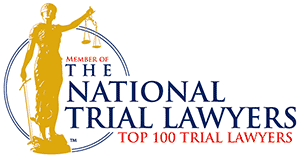 He was selected for inclusion in the 2015, 2016, 2017 & 2018 National Trial Lawyers Top 100 Trial Lawyers. He is the author of Tennessee Criminal Trial Motions Practice (ISBN 0-9651848-5-4) and speaks frequently at continuing legal education programs for other lawyers. He is admitted to practice law in all Tennessee State Courts, including the Court of Criminal Appeals and Tennessee Supreme Court and is a member of the bar of the Supreme Court of the United States. We are dedicated to seeking justice by representing our clients with relentless determination, no matter how complex the case or how high the stakes. We handle cases throughout the entire State of Tennessee, in every judicial district, including, but not limited to, the following areas: Knoxville, Maryville, Clinton, Oak Ridge, Sevierville, Crossville, Cookeville, Cleveland, Chattanooga, Greeneville, Jefferson City, Newport, Lenior City, Loudon, LaFollette, Jacksboro, Maynardville, Dandridge, Morristown, Kingston, Harriman, Madisonville, Sweetwater, Elizabethton, Athens, Rogersville, Nashville, Memphis, Jackson, Spring City, Lebanon, Sparta, Kingsport, Johnson City, and Bristol. We are accustomed to handling all legal matters with confidentiality, respect, dignity and discretion. We have represented clients involved or charged with some very delicate, personal, and often times embarrassing situations or offenses. We make every effort to handle every matter as discreetly as possible to protect our client's privacy and reputation. And whenever possible we make every effort to keep your case from being publicized or the focus of media attention. Obviously, we have no control over the news media or the types of cases they cover; however, we do our best to avoid media attention and do not get caught up in the media frenzy often generated by certain types of high profile or personally embarrassing cases. 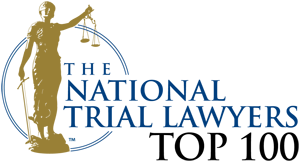 If you would like to schedule an appointment for a FREE CONSULTATION or have questions regarding criminal defense or personal injury law, please contact us by completing our online form or by telephone at 865-633-9060. In most cases, we can even schedule a telephone consultation if this would be more convenient. We are conveniently located downtown in the Walnut Building, 706 Walnut Street, Suite 602, Knoxville, Tennessee 37902 (Click here for Map & Directions). Located in a convenient location for students attending the University of Tennessee who need legal representation with a bus stop near the corner of our building for those without an automobile. Parking nearby is available for a nominal charge. We offer flexible payment plans and we also accept MasterCard, Visa, American Express, and Discover credit cards. We are happy to discuss fees and any payment arrangements available when you contact us. The information contained in this website is provided for informational purposes only, and should not be construed as legal advice on any subject matter. No recipients of content from this site, clients or otherwise, should act or refrain from acting on the basis of any content included in the site without seeking the appropriate legal or other professional advice on the particular facts and circumstances at issue from an attorney licensed in the recipient's state. While we make every effort to treat all matters as confidential and with discretion, any information sent to our firm by internet e-mail or through this website may not be secure and is done so on a non-confidential basis. Transmission of information from this website by email or otherwise does not create an attorney-client relationship between you and our firm, nor is it intended to do so. The transmission of the website, in part or in whole, and/or any communication with us via internet e-mail through this site does not constitute or create an attorney-client relationship between us and any recipients. All payments processed through our online payment system are subject to review and verification. We can only accept online payments from our existing clients. Any online payments other than those received from authorized clients are subject to cancelation. No Attorney-client relationship is established between our firm and anyone solely by virtue of making a payment through our online system.